After a lengthy period of negotiation, I am pleased to be able to tell you we have sold the land at Wynyard to a local developer. Funds have been released to the school which will help us to continue our refurbishment programme and money has also been used to reduce our borrowing from the bank. Further funds from the sale will also be released in 12 months and this sale has considerably strengthened the school’s financial position. I would like to thank members of School Council who have taken a lead during this challenging sale. Thank you to those parents who took the time to complete the survey. I have already shared the anonymised comments with School Council and we will reflect on general themes when we meet later this month. And please remember: you do not need to wait until a survey to share your thoughts – my door is always open. We have a number of prospective pupils booked in to join us next week. Should you have children not at Red House who would like to experience a day with us, please book them in for this event. It should be noted that we currently only have 3 places available for Year 7 in September. September 2020 is looking healthy too so I’d recommend registering your interest early for any siblings not already at Red House. 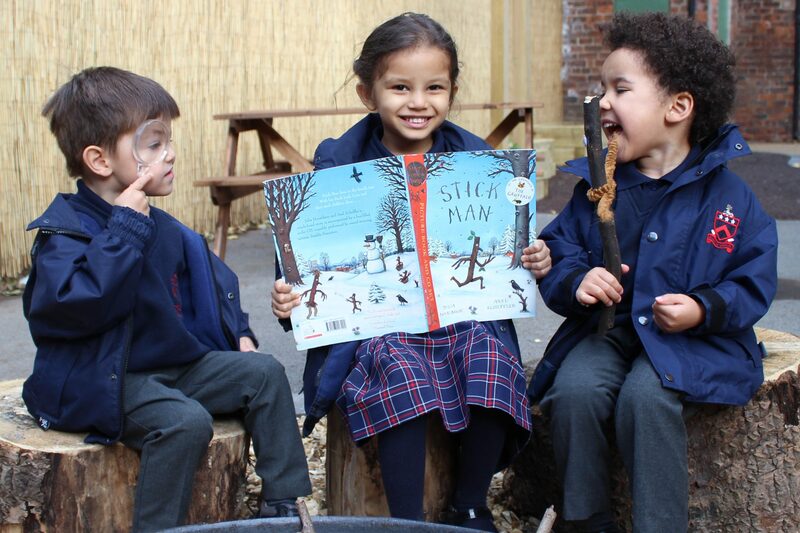 This event is open to prospective pupils and will be full of interactive activities based on the book Stick Man, by Julia Donaldson. Again, please spread the word amongst friends. Once again, the school will be represented at this event. Please come and say hello and bring your friends along to find out a little bit more about Red House. The Senior School choir will also be singing in the main hall on Thursday morning. Some tickets will be available on the door this evening for those who have not already booked. If you are attending, please can I remind you to park with care so that we can maintain positive relationships with our neighbours; the car park in the Junior School is also being made available. My thanks go to the parents and staff who have helped to organise the event and who are running it this evening. I’m sorry I cannot make it – I’m appearing on stage in Whitby in ‘Hi-de-hi’ – but I am sure it will be a great success.